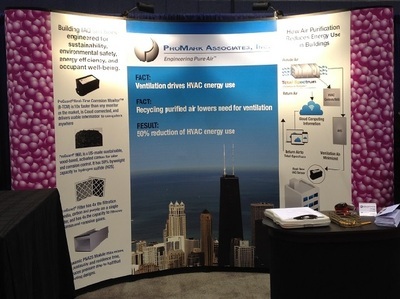 Energy Reduction Calculations - ProMark Associates, Inc.
Today, reducing energy use is everyone’s goal. Since HVAC is the prime consumer of energy in most buildings, it is a prime target for innovation in energy efficiency and reduction. Offices, hospitals, schools, museums, and libraries all are buildings ventilated with outside air to reduce indoor air pollutants, reduce carbon dioxide and provide oxygen. This ventilation air must either be heated or cooled to make the occupants comfortable. Current ventilation rates are very high, so when an existing system essentially “throws away” and exhausts conditioned air to achieve Acceptable Indoor Air Quality, so, too, is the energy investment essentially thrown away. A better idea: purify the indoor air to better-than-outside air quality and reuse it. It takes much less outside air to a) meet the necessary oxygen replenishment and b) dilute carbon dioxide to create and sustain a healthy atmosphere in a building. If we remove the air pollutants, then we reduce the ventilation volumes, thus lowering the energy requirement of the HVAC. The calculations below are based on a Midwest USA location where Total Spectrum® air purification has been installed. 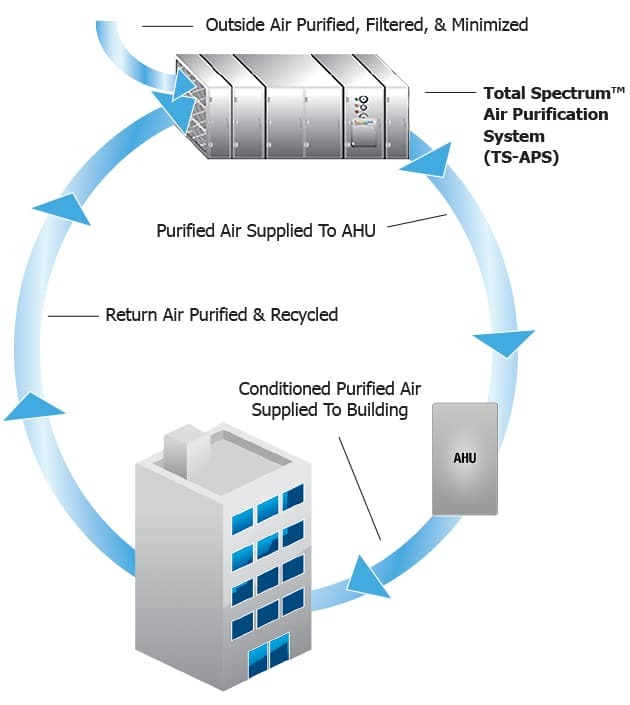 By purifying the indoor air to better than ventilation air from outside, it is possible to reduce capital equipment size and cost that offsets the initial cost of the Total Spectrum® air purification system. Here is one example. The Total Spectrum® air purification system also reduces operating costs because the Dynamic Chemistry™ it produces protects and extends the life of the gas-phase media stages it includes. Installations have validated that the activated carbon lasts at least 7 years and 10 or more would be expected. 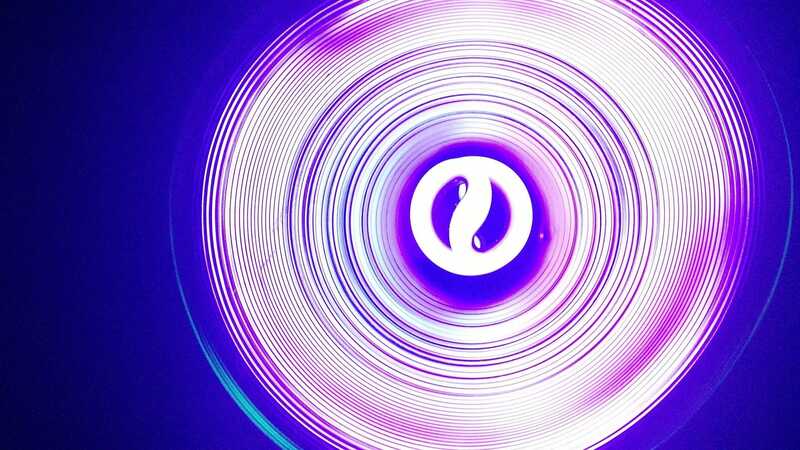 Since only UV lamps get replaced yearly, the operating costs for maintenance is very low. No other air purification system can provide these energy and capital cost savings.